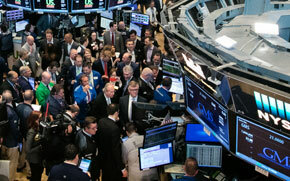 Capital Link provides investor relations services to an extensive roster of corporations worldwide. Our services range from corporate advisory to internet based communications. 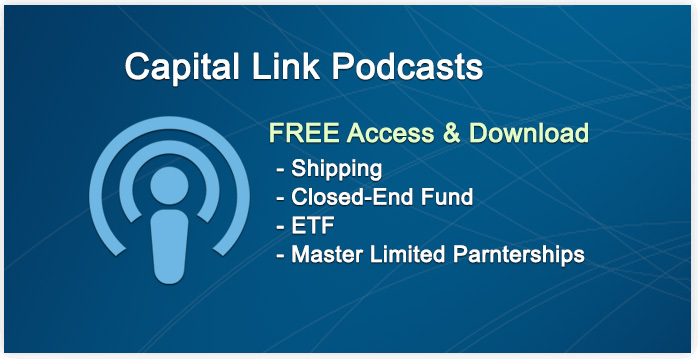 Capital Link's investment forums and webinars are dedicated to the shipping sector and closed-end fund and ETF space. 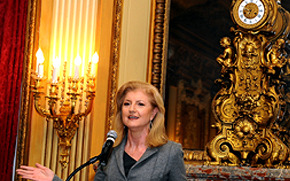 Taking place across New York, London, Athens, and the web, they serve not only as an interactive platform for sharing the latest industry trends and topics, but also networking. Looking beyond the traditional scope of advisory or investor relations services, Capital Link operates more like a boutique investment bank, seeking to enhance long-term shareholder value and achieve proper valuation for our clients through strategic positioning in the investment community. Working together with industry heavyweights, Capital Link offers information portals on the Closed-End Fund, ETF, and MLP areas. Gain access to recent articles, market and industry reports, editorials, press releases, fund interviews, webinars, and more.